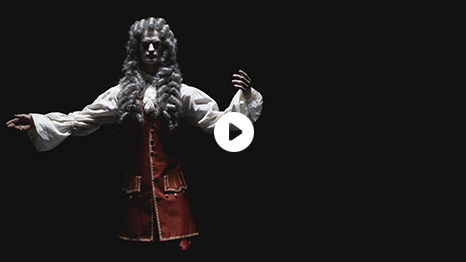 As members of the Paris Opera, the dancers of 3e étage perform romantic, academic, neoclassic, deconstructionist and contemporary ballets on the world's greatest stages, and are in the process confronted by a wide variety of approaches to their art form. Through its exploration of these many paths ballet-based work takes, "Classics of the Twenty-first century" is 3e étage's attempt to answer the question of how to make and dance ballet today. How to perpetuate a tradition of balance, discipline, and beauty that's been passed on through generations, while lucidly acknowledging the art form's potential for rigidity, inaccessibility— and its risk of irrelevance? Always respectful, never sanctimonious, "Classics of the Twenty-first century" proposes with elegance and passion that combining deep fluency in a centuries-old tradition, self-aware humor, and the willingness to embody the spirit rather than the letter of ballet may be the key to keeping the form alive and relevant today. © 2013 Samuel Murez | Site by Onion.